I'm decorating the bottom cooler because it needs to hang out with its red and white cooler friends at a cookout. I'm not sure if I should do the same thing to the small cooler or something different. Any ideas? Too subtle about how I feel about stick figure family stickers? 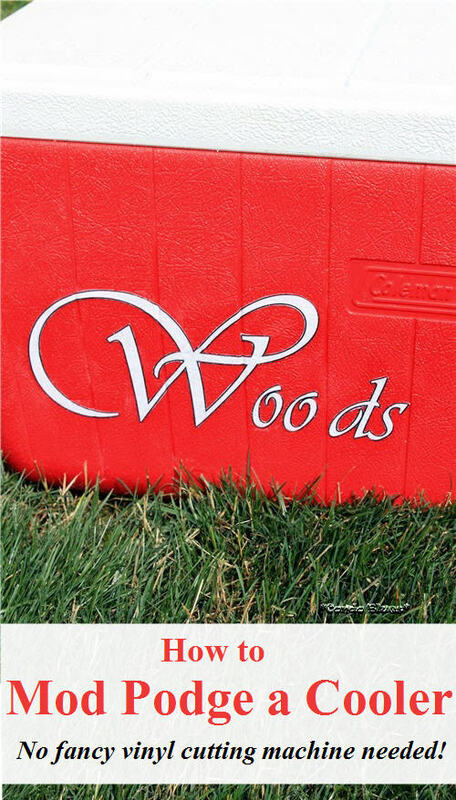 The only solution is to Mod Podge my cooler with a paper decal. Green, nontoxic, and since I already have everything I need – free. I like free. Free is good! 1. Make your paper cooler decoration. I picked a cool font, typed our name and choose the outline style in Word. I choose a larger point size for the first letter in our name for interest. 2. Carefully cut out your cooler decoration with the scissors. TIP: Cutting the paper with a pair of manicure scissors similar to these makes it easier to cut the small details in patterns and stencils and is way cheaper than a fancy paper cutting machine! 3. Place the decoration on your cooler and outline it in chalk. Remove the decoration when finished. 4. Use the sandpaper to rough up the shiny plastic on the cooler in between the chalk lines of your decoration. This will help the decoupage glue adhere to the cooler better. If my cooler had a smooth finish, I can get away with lightly and roughing up the shiny top coat. Since my cooler is bumpy I sanded down the bumps to make a smooth Mod Podge area on the side of my cooler. 5. 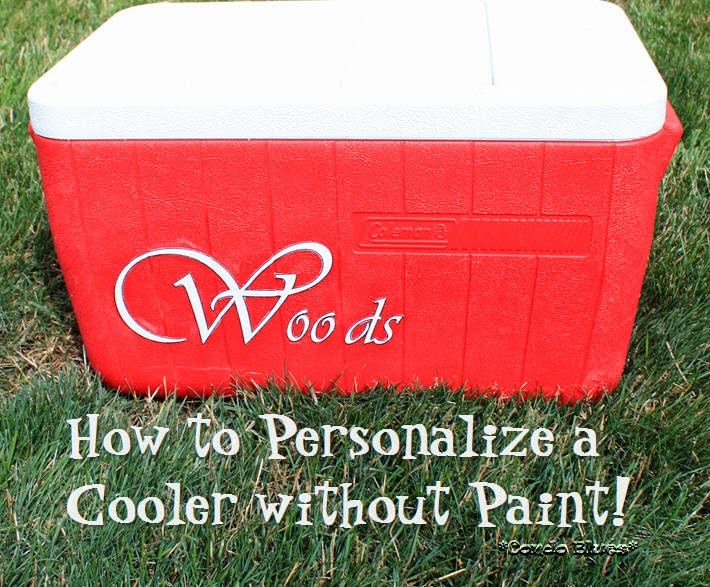 Attach the decoration to the cooler using the paint brush and Mod Podge Outdoor and allow it to dry. 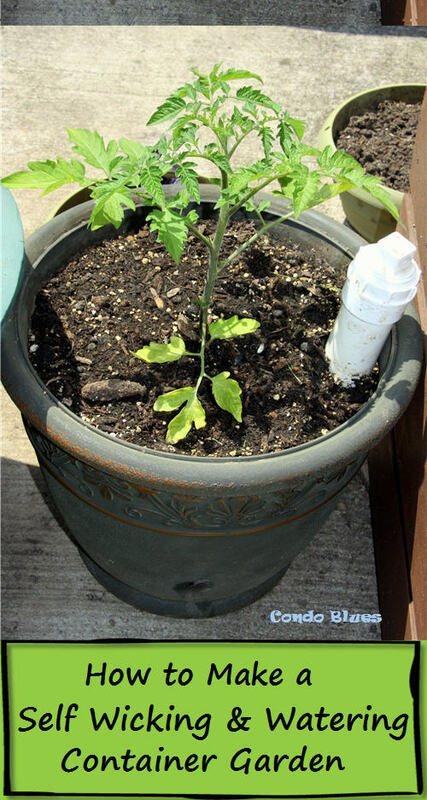 I am using Mod Podge Outdoor formula because this formula is a water resistant sealer. It is still going strong after four summers of moderate use. If you want to cooler decorate to stand up to super duty heavy use, I suggest you use Mod Podge Hardcoat formula instead of Outdoor. Tip: I used an old gift card as a brayer and to make sure the art stuck in to the horizontal grooves. 6. Seal the decoration to the cooler with two more coats of Mod Podge Outdoor or Hardcoat. Allow each coat of Mod Podge to dry completely before applying the next coat. 7. Allow the Mod Podge to cure for several days before you use the cooler. I let mine hang out in the garage for a week or two before it was called into active duty. 8. Pop in some ice, your favorite pop, and take your cool cooler out on the town! How to do identify your cooler from everyone else? Pin this idea on Pinterest for later and share it with your friends! 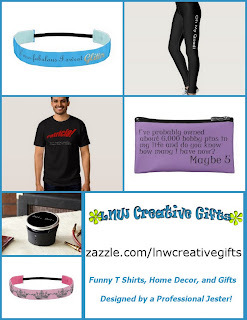 Pin this post to your Pinterest boards!